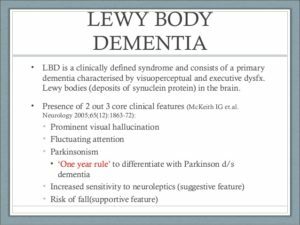 Part II Lewy Body Dementia-How its diagnosed and more. 1-Most important is getting an experienced clinician within the medical community who should perform a diagnostic evaluation. 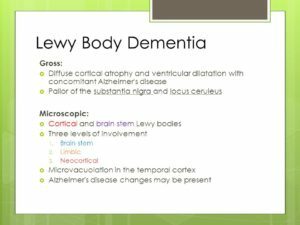 If one is not available, the neurology department of the nearest medical university should be able to recommend appropriate resources or may even provide an experienced diagnostic team skilled in Lewy body dementia. 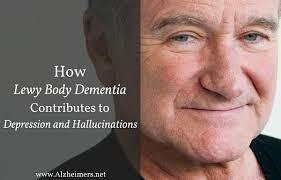 A thorough dementia diagnostic evaluation includes physical and neurological examinations, patient and family interviews (including a detailed lifestyle and medical history), and neuro-psychological and mental status tests. The patient’s functional ability, attention, language, visuospatial skills, memory and executive functioning are assessed. 4-Other laboratory studies may be performed. 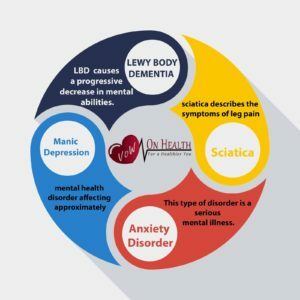 Medications are one of the most controversial subjects in dealing with LBD. A medication that doesn’t work for one person may work for another person. Become knowledgeable about LBD treatments and medication sensitivities. 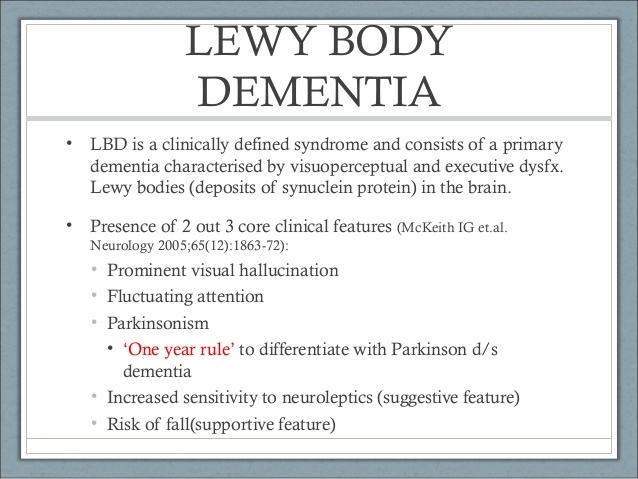 Prescribing should only be done by a physician who is thoroughly knowledgeable about LBD. With new medications and even ‘over-the-counter,’ the patient should be closely monitored. At the first sign of an adverse reaction, consult with the patient’s physician. Consider joining the online caregiver support groups to see what others have observed with prescription and over-the-counter medicines. 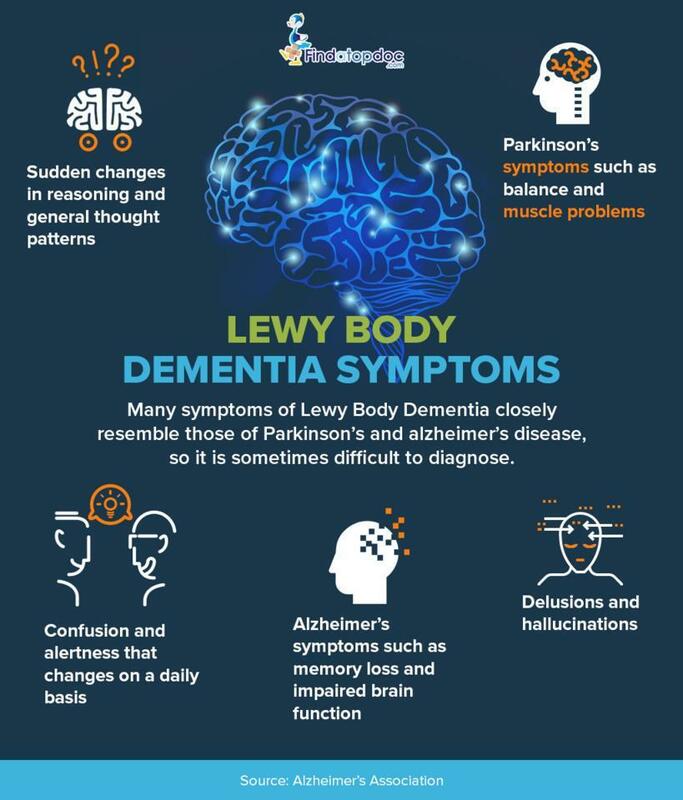 Advanced age is considered to be the greatest risk factor for Lewy Body Dementia, with onset typically, but not always, between the ages of 50 and 85. Some cases have been reported much earlier. It appears to affect slightly more men than women. 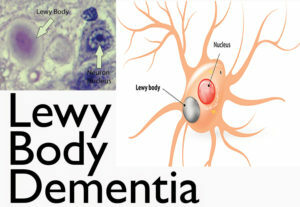 Having a family member with Lewy Body Dementia may increase a person’s risk. Observational studies suggest that adopting a healthy lifestyle (exercise, mental stimulation, nutrition) might delay age-associated dementias. Come back tomorrow to learn treatments for LBD! “Who was Lewy? 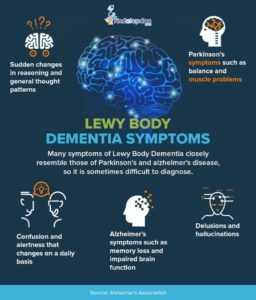 In the early 1900s, while researching Parkinson’s disease, the scientist Friederich H. Lewy discovered abnormal protein deposits that disrupt the brain’s normal functioning. 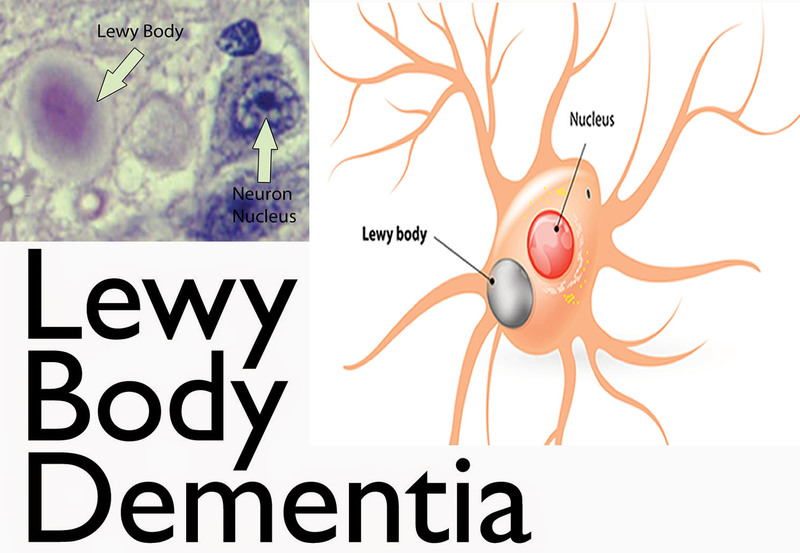 These Lewy body proteins are found in an area of the brain stem where they deplete the neurotransmitter dopamine, causing Parkinsonian symptoms. We all know Robin Williams and initially he was presented in the news as committing suicide but in the past few years it has been presented by doctors that he died of LBD which makes more sense, for a man who had it all to many with Parkinson’s Disease. 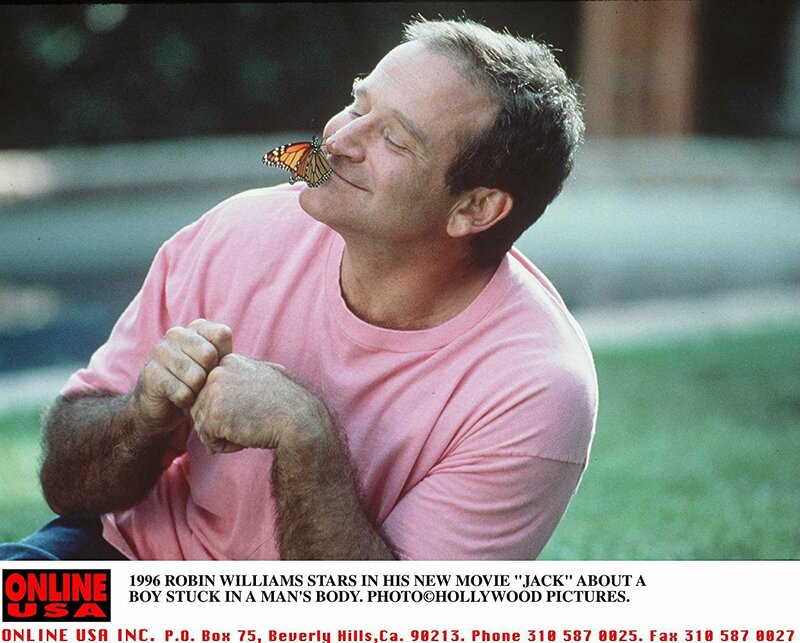 Robin all his life wanted to make others smile and laugh, never did he come across as a depressed unhappy man. We all have our ups and downs along our journey living, which is a part of life. Killing yourself is a severe extreme and you know the news (jump at the first juicy article to make it big or and if we are wrong will admit it or possibly apologize later, sad). “We don’t have stems and we don’t flower, but our body parts, like those of plants, are controlled by circadian clocks,”. Clocks operate more or less the same way in all organisms, but some aspects of clock function are easier to study in plants. Laurie Tompkins-NIH geneticist, (National Institute of General Medicine Sciences). Part III How plants can enhance our lives! Look at medical proof, in July 2011 by online publication of Nature, investigated why Arabidopsis does its major stem-growing in the dark—a pattern common to most plants. Biologist Steve Kay and colleagues at the University of California, San Diego, report that a specific trio of proteins regulates the rhythm in Arabidopsis stems. Arabidopsis thaliana helped scientists not very long ago too unearth new clues about the daily cycles of many organisms, including humans. This is the latest in a long line of research, much of it supported by the National Institutes of Health, that uses plants to solve puzzles in human health. While other model organisms may seem to have more in common with us, greens like Arabidopsis provide an important view into genetics, cell division and especially light sensing, which drives 24-hour behavioral cycles called circadian rhythms. T group of proteins, called the evening complex, interacts in the early evening to silence two genes that usually promote plant growth. When the evening complex’s activity trails off a few hours before dawn, proteins release the brakes on growth and plants enter their nightly phase of rapid stem elongation. When Kay’s team mutated the three genes that code for the evening complex, they noticed that this made the Arabidopsis biological clock run out of sync—stems grew unusually long and flowered early. Our understanding of human health and the role of clocks in health and disease can greatly benefit from studying how clocks work in plants,” he adds. Scientists like Kay are interested in answering basic biological questions, but others who work with plants have their eyes on future disease therapies. Plant-based molecules, for instance, are being used to target reservoirs of HIV that hide out in their hosts. At the University of California, Berkeley, chemist Jay Keasling is looking for simple ways to get microbes to produce greater quantities of these plant-based molecules at lower cost. 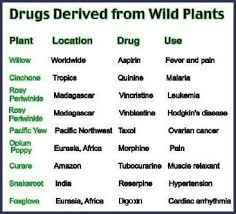 More generally, scientists are looking toward plants as a medicinal source. Chemist Sarah O’Connor at MIT is genetically engineering periwinkle plants, the natural source of the anticancer drug vinblastine, to produce variations of the drug with halogens attached. Halogens make some medicines last longer in the body, meaning that probing periwinkle’s capabilities could make cancer treatments more effective. Plant compounds present in carrots and parsley may one day support more effective delivery of chemotherapy treatments, new research has found. 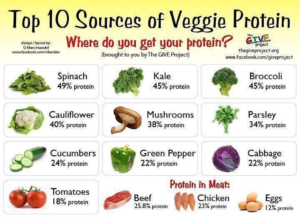 Specific plant compounds are able to inhibit transport mechanisms in the body that select what compounds are absorbed into the body, and eventually into cells. These same transport mechanisms are known to interfere with cancer chemotherapy treatment. Flavonoids are one class of secondary plant metabolites that are also known as Vitamin P or citrin. These metabolites are mostly used in plants to produce yellow and other pigments which play a big role in coloring the plants. 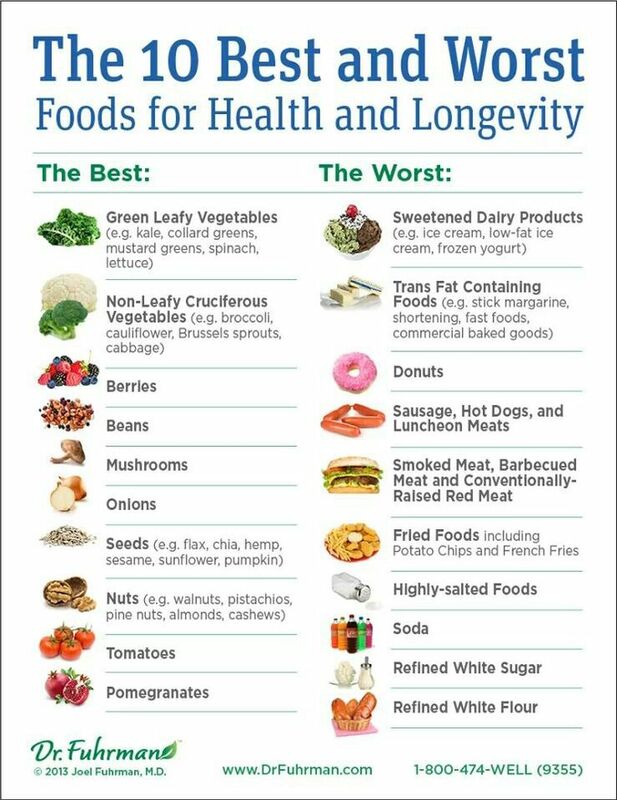 In addition, Flavonoids are readily ingested by humans and they seem to display important anti-inflammatory, anti-allergic and anti-cancer activities. Flavonoids are also found to be powerful anti-oxidants and researchers are looking into their ability to prevent cancer and cardiovascular diseases. Flavonoids help prevent cancer by inducing certain mechanisms that may help to kill cancer cells, and researches believe that when the body processes extra flavonoid compounds, it triggers specific enzymes that fight carcinogens. Good dietary sources of Flavonoids are all citrus fruits, which contain the specific flavanoids hesperidins, quercitrin, rutin, berries, tea, dark chocolate and red wine that includes many of the health benefits attributed to these foods come from the Flavonoids they contain. Phytic acid is the main method of phosphorus storage in plant seeds, but is not readily absorbed by many animals (only absorbed by ruminant animals). Not only is phytic acid a phosphorus storage unit, but it also is a source of energy and cations, a natural antioxidant for plants, and can be a source of mycoinositol which is one of the preliminary pieces for cell walls. Phytic acid is also known to bond with many different minerals, and by doing so prevents those minerals from being absorbed; making phytic acid an anti-nutrient. There is a lot of concern with phytic acids in nuts and seeds because of its anti-nutrient characteristics. In preparing foods with high phytic acid concentrations, it is recommended they be soaked in after being ground to increase the surface area. Soaking allows the seed to undergo germination which increases the availability of vitamins and nutrient, while reducing phytic acid and protease inhibitors ultimately increasing the nutritional value. 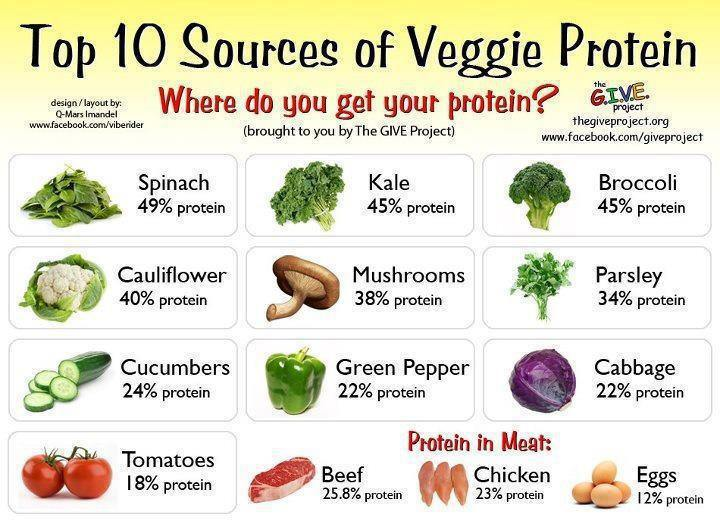 Cooking can also reduce the amount of phytic acid in food but soaking is much more effective. Phytic acid is an antioxidant found in plant cells that most likely serves the purpose of preservation. This preservation is removed when soaked, reducing the phytic acid and allowing the germination and growth of the seed. Atropine is a type of secondary metabolite called a tropane alkaloid. Alkaloids contain nitrogens, frequently in a ring structure, and are derived from amino acids. Tropane is an organic compound containing nitrogen and it is from tropane that atropine is derived from. Atropine is synthesized by a reaction between tropine and tropate, catalyzed by atropinase. Within Atropa belladonna atropine synthesis has been found to take place primarily in the root of the plant. The concentration of synthetic sites within the plant is indicative of the nature of secondary metabolites. Gossypol has a yellow pigment and is found in cotton plants. It occurs mainly in the root and/or seeds of different species of cotton plants. Gossypol can have various chemical structures. It can exist in three forms: gossypol, gossypol acetic acid, and gossypol formic acid. All of these forms have very similar biological properties. Gossypol is a type of aldehyde, meaning that it has a formyl group. The formation of gossypol occurs through an isoprenoid pathway. Isoprenoid pathways are common among secondary metabolites. 3Gossypol’s main function in the cotton plant is to act as an enzyme inhibitor. An example of gossypol’s enzyme inhibition is its ability to inhibit nicotinamide adenine dinucleotide-linked enzymes of Trypanosoma cruzi. Trypanosoma cruzi is a parasite which causes Chaga’s disease. For some time it was believed that gossypol was merely a waste product produced during the processing of cottonseed products. Extensive studies have shown that gossypol has other functions. Many of the more popular studies on gossypol discuss how it can act as a male contraceptive. Gossypol has also been linked to causing hypokalemic paralysis. Hypokalemic paralysis is a disease characterized by muscle weakness or paralysis with a matching fall in potassium levels in the blood. Hypokalemic paralysis associated with gossypol in-take usually occurs in March, when vegetables are in short supply, and in September, when people are sweating a lot. This side effect of gossypol in-take is very rare however. Gossypol induced hypokalemic paralysis is easily treatable with potassium repletion. Believe or not, plants enhanced our lives. Remembering all of those who gave the ultimate sacrifice. Part II How Plants Enhance Our Lives! Ginger is one spice that I recommend keeping on hand in your kitchen at all times. Not only is it a wonderful addition to your cooking (especially paired with garlic) but it also has enough medical properties to fill several books. Ginger is best known for its anti-nausea effects but also has broad-spectrum antibacterial, antiviral, antioxidant, and anti-parasitic properties, to name just several of its more than 40 scientifically confirmed pharmacological actions. It is anti-inflammatory, making it valuable for pain relief for joint pain, menstrual pain, headaches, and more. -Reducing inflammation (reduces the risk of osteoarthritis and other disease associated with inflammation). -Boosting immune function (antibacterial, antifungal, antiviral, and antiparasitic properties). -Improving cardiovascular health and circulation (protects against clotting, retards plaque, improves lipids, and reduces blood pressure). -Toxic to at least 14 kinds of cancer cells (including brain, lung, breast, gastric, and pancreatic). In addition, garlic may be effective against drug-resistant bacteria, and research has revealed that as allicin digests in your body, it produces sulfenic acid, a compound that reacts with dangerous free radicals faster than any other known compound. 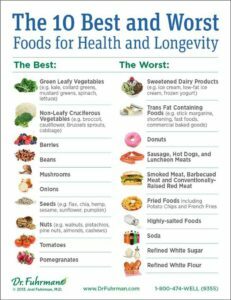 This is one of the reasons in my article garlic what listed as one of the top seven anti-aging foods you can consume. Relieve pain. It can ease sore or tense muscles, joint pain and rheumatism, sprains, backache, and lumbago. Simply massage a small amount of lavender oil onto the affected area. Lavender oil may also help lessen pain following needle insertion. Treat various skin disorders like acne, psoriasis, eczema, and wrinkles. It also helps form scar tissues, which may be essential in healing wounds, cuts, and burns. Lavender can also help soothe insect bites and itchy skin (lavender oil can help ward off mosquitoes and moths. It is actually used as an ingredient in some mosquito repellents). Improve your digestion. This oil helps stimulate the mobility of your intestine and stimulates the production of bile and gastric juices, which may help treat stomach pain, indigestion, flatulence, colic, vomiting, and diarrhea. Relieve respiratory disorders. Lavender oil can help alleviate respiratory problems like colds and flu, throat infections, cough, asthma, whooping cough, sinus congestion, bronchitis, tonsillitis, and laryngitis. It can be applied on your neck, chest, or back, or inhaled via steam inhalation or through a vaporizer. Stimulate urine production, which helps restore hormonal balance, prevent cystitis (inflammation of the urinary bladder), and relieve cramps and other urinary disorders. The oil serves many medicinal purposes, but one of the best-documented uses is for relaxation. The oil has a calming effect on people, and can be used to help induce sleep, ease frayed nerves, and promote a general sense of calmness and well being. It is great for those with nervousness or anxiety problems. Aside from having mental calming properties, chamomile is also good at relaxing sore muscles and tight joints. It can ease menstrual cramps and back aches, as well as relax the digestive system to ease upset stomach or indigestion issues. When applied topically to the skin, it soothes redness and irritation. For this reason, it is a common ingredient in skincare. It also eliminates itchiness and is good for those with allergic reactions. Sometimes chamomile is used on rashes. Because of its anti-inflammatory properties, it can work to take down swelling caused by rashes or skin irritants. Dandelion, a plant, has traditionally been used as a liver tonic, useful for detoxification and improving liver function. Dandelion is known as a stimulant that is typically used for kidney and liver disorders. It is also traditionally used to reduce the side effects of prescription drugs, as well as to treat infections, gallbladder problems, water retention and swelling.15 Dandelion greens, which you can prepare simply by blanching them in boiling water for 20 seconds to help remove their bitter flavor (they can also be added to vegetable juice), contain many nutrients, including vitamin C, vitamin B6, thiamin, riboflavin, calcium, iron, potassium, and manganese. They are a particularly good source of vitamin A and may also have cancer fighting properties. 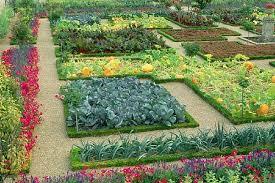 So believe it or not plants enhance our lives and with technology it will further expand in helping human lives.